With the rapid pace of evolution in the world of technology, it can feel like a necessity to completely throw out and replace your tech every few years. And sometimes, yes, that is the only option. But it’s not a very cost-effective or environmentally friendly option. 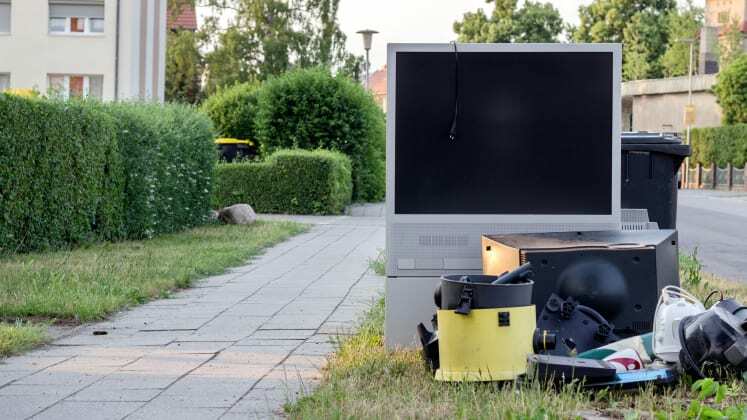 E-Waste (such as old TVs, computers and phones) has been a serious problem for years, and it’s only getting worse. Before you throw away your older tech, think about repairing or upgrading it. Check locally and you’ll probably find computer, phone and even printer repair Washington DC or your city. Just because something isn’t working doesn’t mean it needs to be completely replaced. And just because something needs to be repaired doesn’t mean that you have to be inconvenienced. Many places that offer repairs also offer speed and satisfaction guarantees. Don’t throw out a perfectly good piece of tech until you’re absolutely sure it’s can’t be fixed. Especially with computers, if you’re willing to take a slight risk and crack open the case, you may find that you can upgrade an old computer to run like a new one. It’s less expensive to put in a new hard drive or add more storage than it is to buy a whole new computer, for example. Refurbishment is a real possibility worth investigating before you throw out old tech. In addition to expense and environmental concerns, there’s also the familiarity factor to consider. With the fast pace of changing tech, it’s easy to feel lost or left behind. There’s something to be said for hanging on to old, familiar tech as long as possible before throwing it out. You already know how this machine works, why mess with success by replacing it, and waste time learning a new system, if there’s a chance you can upgrade or repair it instead?